Should India Promote Scientific Research on Aging? Should India promote scientific research on aging? This was the question put to me by a learned friend of mine during our discussion on the ever increasing population of India and in particular that section of the population beyond 60 years of age. I was suggesting, rather emotionally, that it is high time that India had taken the health and other problems of senior citizens seriously and active research be promoted on the phenomenon of getting old and such age associated health and social problems. To this my friend brought out the above question with an equally involved gesture. The summary of his argument was simple and straightforward. In India we have the faith that this life is only a transitory phase of never ending cycle of birth and death. Every one who is born is certain to die. In fact, according the Indian ethos, every one should strive to attain janmarahityam or moksha a state where one becomes free from the cycle of birth and death. Under these circumstance why to worry that we are aging which inevitable? Instead, one should adopt vanaprastha and indulge in such activities that might take one nearer to moksha or even to moksha itself. Therefore, it is silly for any nation to spend a good chunk of its resources on finding out how we become old and die. For a moment, I thought my esteemed friend might, after all, be right. Having spent good part of my life on aging research, my mood became very gloomy and I even allowed the sense of guilt into my mind. But then why in many other countries, aging research has become, during the last few decades, an important thrust area of research when every one knows the end is inevitable? My thoughts started reeling in all directions. India is a unique country. It has at least 5000 years of history. It has nurtured many religious groups and faiths yet developed a way of life and a culture which is an intricate blend of many faiths projecting like a laser beam pointing towards what can be described as Indian culture characterized by deep faith in providence which is astonishingly combined with most modern scientific thinking which is claimed to be an Indian trait for thousand of years. Other wise how else one can explain Indian interest to reach moon some day, if necessary with the help from our foreign friends and their technology without bothering to optimize our food production, lay good roads and worry over the threatening increase in population? Yes indeed, the ever-increasing population on this planet has crossed the 6.5 billion mark in the month of July 2005. Although the rate of increase of population has decreased from 2 percent in 60s to 1.2 percent to day, the nine billion mark is expected to reach around 2050. That is only one side of the story and the problem there off. Out of this 9 billion people in 2050, a large chunk of them would be from developing countries with India’s share being close to 2 billion. Secondly the “grandparents boom” would become clearly visible and pose a major problem to the countries concerned and to the world at large. This means a significant percentage (according to my rough estimate-10%) of this 9 billion people would be in the age bracket of 60 and above. More than 150 million of this global aging population will be from India. This demography is likely to bring up peculiar challenges including the national budgets for aged, health care problems, retirement policies, and utilization of the elderly and social management of the aged. Advanced countries have sensed this imminent “grandparents boom” almost 50 years ago and launched measures to alleviate the pressures that this demographic change could bring in. The reasons for the expected changes were looked into. It was obvious that reduction in the infant mortality coupled with improved nutrition and health care, resulting from the fruits of medical and biological research, are the reasons. It would be unwise and even uncivilized to make any effort to reverse these achievements. On the other hand emphasis was turned to see why we become “old” and what is the molecular mechanism(s) of this fascinating yet undesirable process. Would it be possible to modulate/control this process? The Science of getting “old” was born with a bang. Separate Institutes and centers were created both from philanthropic and Governmental initiatives to understand the science of aging and age associated debilities as well as to formulate innovative and humane management of elderly. Above all to examine how to prolong the “health span” of aging populations and convert them into a national asset. Today aging is one the thrust areas of research in almost all the developed nations and many others are following the suit. For example, USA has created a new Institute for Aging Research, called National Institute on Aging (NIA) almost 40 years ago. Japan, European and many other countries have followed the suit. In fact the European countries have got together and formed a European Research Area in Ageing (ERA-AGE, Gerda Geyer, Experimental Gerontology, 40, 759-762 2005) Apart from the State supported new Institutes, already existing centers, universities have created divisions and centers for gerontological research. These initiatives are yielding rich dividends. Tremendous progress is being made in understanding the biological, clinical and behavioral aspects of the phenomenon of getting ‘old’. To day about 250 genes are identified to be associated with the aging process and therefore the life span. Attempts are also being made to examine whether the process of ‘aging’ can be modulated at genetic, molecular and social levels. Extensive research is also going on to examine the possibility of attenuating the deleterious effects of age dependent disorders including neurodegenerative (Alzheimer, Parkinson, Huntington, Stroke etc.). It is no exaggeration to say that there is no university in USA, which does not have a center or institute for gerontology research. Independent India is just 60 years old. At the time of independence, the average life expectancy in India was around 40 years. Clearly old age was not a problem to worry about. On the other hand, the average life expectancy of an Indian to day is reported to be around 62 years and this figure is fast improving. Never before have so many people lived for so many years- thanks to the amazing progress made in medical and biological research. As such to day India has nearly 80 million people over sixty and this number is suspected to go up to 117 million in 2010 and further up in the years to come (Registrar General of India and National Commission on population, 1996; http://populationcommission.nic.in). As already mentioned above, it is projected that there will be more than 150 million people above 60 years of age by 2050. This changed demographic profile is likely to exert immense pressure on the Government and the people themselves in many ways that are being experienced by the nation to day as a result of mere increase in the population — not to talk about the bulging portion of the aged population. Yet India does not seem to show any urgent concern about the fast changing demography. A learned friend of mine attributed this to ancient “Indian Wisdom” mentioned in the beginning of this article. However, this author feels that this premise is unacceptable for more than one reason. Even ancient India has developed medical systems to rejuvenate the health of individuals. Ayurveda is essentially a rejuvenating medicine. Modern India has tried hard to control the rapid growth of its population through scientific methods. Modern India is supporting even subjects like fashion technology in order to be in line with developed nations. Therefore there is no reason why India should not do any thing to achieve “Quality Aging” for its aging population so that this experienced section of the society could be converted into an asset. There is need for launching initiatives to promote research in basic aspects of aging process as well as applied research to innovate scientific methodology to manage elderly people. So far Indian Council of Medical Research is the only organization that has taken at least a minor initiative to promote aging research. A much bigger initiative from different quarters is needed if India has to escape the demographic shocks mentioned above. I would therefore like answer to the title question of this article as “YES”. India must in its own interest promote research on aging and associated diseases in a big way. There are always some discordant, perverted voices projecting the distorted Indian Wisdom. India’s march towards becoming a global leader should not be allowed to be disturbed by vested and disgruntled arguments. India has however, as on to day, lagged behind in this aspect for obvious reasons. If the increasing ‘aged’ population of the country is not taken care of and looked after well and maintained at reasonable health levels, then it would eventually become an extraordinary cost burden of no returns to the Government and the society at large. On the other hand, the ‘ageing’ population can also be converted into a national resource and asset with proper planning and imaginary inputs. Thus the older people in any country would pose a challenge as well as an opportunity. It is time that India takes an initiative to make it an opportunity because of the advantage it enjoys in mere numbers. This can be termed as Wisdom Resource (preservation and) Development (WRD) and through this the country can derive the longevity dividend. Thus it pays to keep the people with extended longevity in good health and spirits. It is encouraging that the Govt. of India has indeed started looking seriously at this problem (responsibility) in recent past and announced a policy for senior citizens as below. The National Policy on Older Persons seeks to assure older persons that their concerns are national concerns and they will not live, unprotected, ignored and marginalized. The National Policy aims to strengthen their legitimate place in the society and to help older people to live the last phase of their life with purpose, dignity and peace. The National Policy on Older Persons inter alia visualizes support for financial security, health care and nutrition, shelter, emphasis upon education, training and information needs, provision of appropriate concessions, rebates and discounts etc. to Senior Citizens and special attention to protect and strengthen their legal rights such as to safeguard their life and property. The National Policy on Older Persons confers the status of senior citizen to a person who has attained the age of 60 years. This above avowed policy has been capped very recently, in Dec 2007, by a bill passed by parliament. This bill is named “The maintenance and welfare of parents and senior citizens bill-2007”. I would like to describe this bill as an historical one in that the Government of India has perhaps for the first time taken the maintenance and welfare of the senior citizens rather seriously and mooted steps to be taken for dignified living of senior citizens. This bill provides a provision for judicial authority to jail children for three months if the parents complain their negligence by children. This may sound peculiar to Indian society, what is important is that the Govt. has taken cognizance of the plight of some parents and created a deterrent in the form of a law for such social offence. The bill also envisages to establish old age homes in every district and a tribunal to look into the difficulties of senior citizens in that district. The above bill sounds so good as to raise suspicion about its implementation. Be as it may, this is only one way of tackling the problems of senior citizens and there is yet another and perhaps more important way to empower the aged population in terms of their health and quality living and make use of their expertise in different needs of the country. Concrete steps and inputs are necessary. One such step is to establish one or more (in view of the vastness and diversity of the country) Institutes or Centers for a multidisciplinary scientific study of the phenomenon of aging and the associated diseases/problems. Such Institutes would also prepare a database for the clinical and biological profiles of the populations around particularly of the senior citizens to begin with. 1. The process of aging – at genetic, molecular, clinical, biochemical and behavioral levels. 2. Disabilities and diseases, including neurological disorders, associated with age and more prevalent in the aged. 3. Psychosocial aspects of the aged with a special emphasis on the special and peculiar needs of the aged. 4. Connectivity between the laboratory findings and the community to promote health among the aged and to make use of the healthy aged to the societal needs. Science Academies have a responsibility to alert the Government authorities for initiating ventures that would stabilize a social climate in terms of health and economics. Aging research in the lines cited above, in my opinion, would be one to contribute such a climate. Prof. Kalluri Subba Rao, Ph.D., D.Sc (IISc), FAS-AP, FAMS, FNASc, FNA., is an Indian National Science Academy Honorary Scientist, working at the School of Medical Sciences, University of Hyderabad, India. 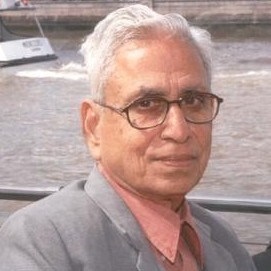 He has worked as a Professor of Biochemistry/Neurobiology at the University of Hyderabad, and as an INSA-Senior Scientist/Honorary Scientist & Professor at the Centers for Biotechnology and Innovative Research, Institute of Science and Technology, Jawaharlal Nehru Technological University, Kukatpally, Hyderabad. His research interests include Biochemistry and Molecular Biology of the developing and aging brain with special reference to DNA-damage and its repair. He has more than 120 research publications in national and international journals and books. His contributions include establishing the link between aging and decreased DNA repair, particularly the base excision repair, in the brain. He is presently working on a monograph containing the latest scientific information about the process of aging in higher organisms and also examining the available related traditional Indian (Vedic) concepts. He has advocated for the establishment of Institutes or Centers for multidisciplinary scientific study of the phenomenon of aging and the associated diseases in India.